I love sky, you´ve got it man. 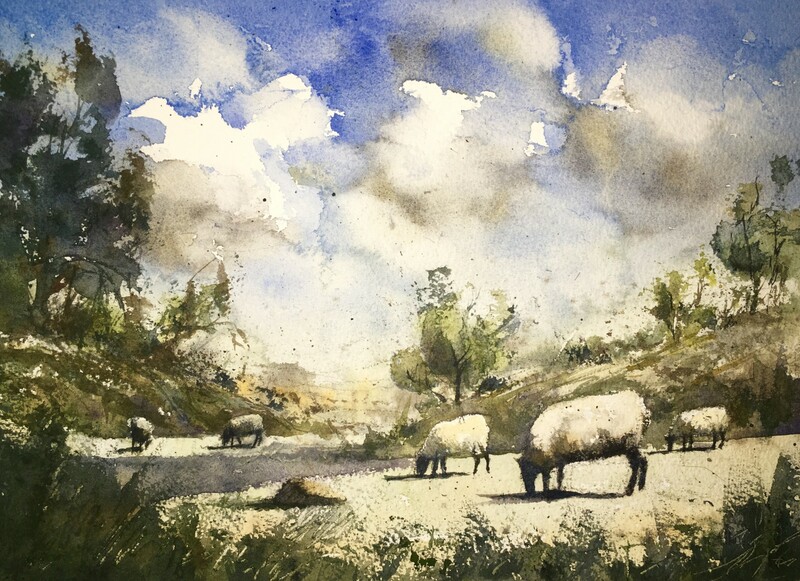 Landscapes are one of my favorites themes after human figures, but not sheeps, I don´t know why, but… Colors are fantastic, composition good, and dry effect in the grass very realistic. A good one. Next Next post: A watercolour from 2016.